Hello, wonderful people - today is editing, which means moving words around, so I’m going to move some of them onto this blog and share that if you’re in the Seattle area, you can see my artwork as part of two different shows in the area. Fighting like sparrows at a bird feeder and getting nowhere, it’s 5 of Wands! To make this work part of your collection, contact Ghost Gallery directly. 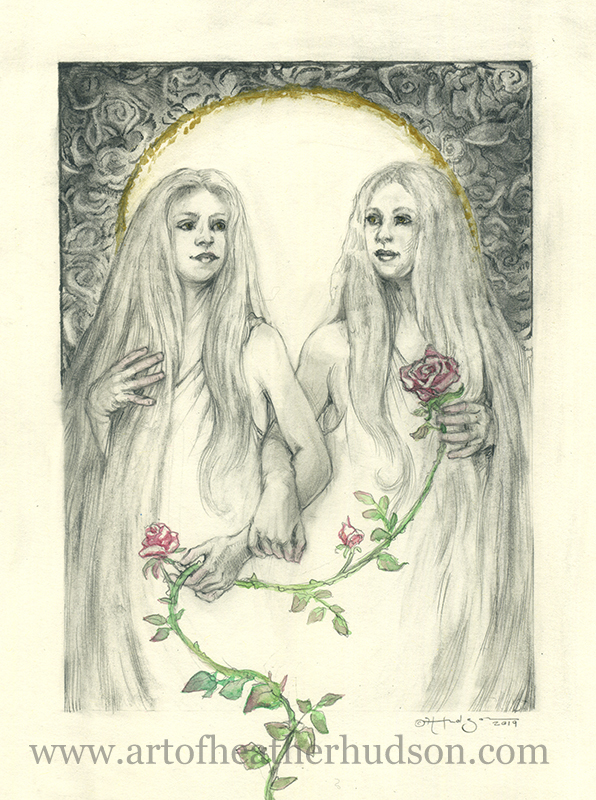 Five of Wands will be part of Ghost Gallery’s “Art of the Tarot III” show through March 10th. Over 70 artists have tarot-related work in this show. Ghost Gallery moved into a new space in the Chophouse Row block in the last year, so if this is your first visit in a while, check directions. To add “Love and Beauty” to your home, click thru to contact Gargoyles. 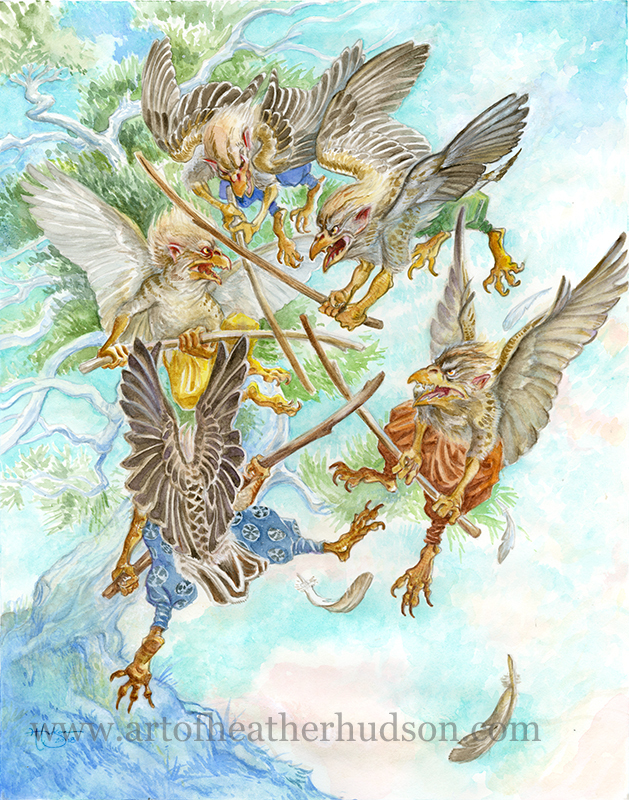 “Five of Wands” is a 11”x14” watercolor I painted for 78 Tarot’s “Mythic” tarot, featuring my idiosyncratic version of Japanese tengu. It’s alternative title is “Everyone Has an Opinion,” and they do! But it doesn’t get them anywhere, because the 5 of Wands card means a situation where the result of a general struggle is that no-one achieves anything. Also on display, Love and Beauty will be part of Gargoyle Statuary’s “Dark Love” show, which opens tonight as part of the U-District art walk and runs through march 14th. Gargoyle’s show celebrates the sacred and the profane, and my conjoined goddesses of Love’s Beauty - Beauty Inspiring Love and Beauty Bestowed by Love, will be part of the celebration. The double goddess has evolved since I posted her as last week’s Month of Love challenge, she/they have been given offerings of roses, as is appropriate. Thanks for reading! My main mission today is moving words around, so this post has been either an opportunity to keep you guys informed, or just practicing my word craft before turning to my manuscript. Either way, it was nice to have a chance to let you know what’s been going on. Cheers! See you at Emerald City Comicon next month!